At Pacific Security Technology, we work hard to make our mark as the best security company in Sydney, not in just what we offer, but in how we go about providing our services at the most cost-effective rates. Whether you’re in need of professional Alarm Repairs, Installations, Upgrades or Maintenance, Pacific Security Technology is equipped to provide any alarm service in a professional and timely manner. We even provide large-scale services to Body Corporates and Strata Management Agencies in need of regular security maintenance. Our alarm technicians always arrive fully equipped to minimise the need for return visits and provide a seamless, no-nonsense service. From replacing your alarm’s back-up batteries at home, to integrating Multi-tiered Access Control on independent floors across your commercial properties, we pride ourselves on our ability to deliver on and above expectations in both attention to detail and technical expertise. Call us before 9:00am and we’ll do our best to fit you in on the same day! Pacific Security Technology offers professional alarm repairs on a 12-month guarantee across both products and workmanship. 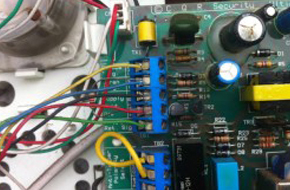 We can successfully address any issues experienced on all major makes and models of alarm. Give us a call to book your appointment from as little as $185 Inc. GST or less! Whether you’ve just moved into a new home or your existing commercial systems need an overhaul, our technicians can provide the very best in alarm installations across every make and model in Sydney. We take the utmost care when it comes to our work, so if you’re looking for a no mess, no-nonsense installation, call us today on 1300 660 445. Offering cost-effective Security Solutions to Strata Management, Body Corporates, Developers and high-net worth individuals across Sydney, we can provide you with the same high quality service through once-off, weekly, monthly, bi-annual or annual maintenance packages. Is your property insured? 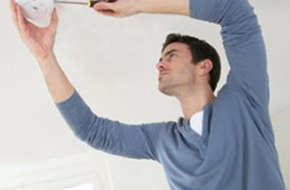 Failing to undertake regular maintenance on your security systems could affect your ability to make a claim. Pacific Security Technology offers some of the latest tech available across both security hardware and associated firmware – as with most gadgets and gizmos today, out-of-date alarm and security systems can become prone to failure as criminal technology and insight evolve. If you can see the dust on your keypad, it might be time for an upgrade – give us a call today on 1300 660 445 to improve on your home or office security. Click here to contact Pacific Security Technology online. We offer a wide range of state-of-the-art security systems from the leading brands in Sydney, along with some of the industry’s most effective, 24/7 Back-to-Base Alarm Monitoring solutions and Guard Response services. 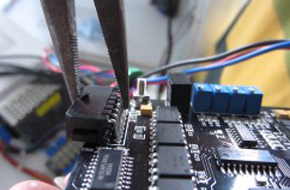 With over 20 years’ experience across all aspects of alarm and security installations, repairs and servicing, Pacific Security Technology has branched out to provide the same high-quality services, on scale, to corporates in need of reliable, timely and cost-effective security maintenance, access control and back-to-base monitoring. Whether you manage one building or several across New South Wales, Pacific Security Technology can work with you to successfully manage your property security and provide the means to meet your legal and insurance obligations and compliances. Give us a call today on 1300 660 445 for a no-obligation quote. For those interested in securing development approval over a new build or those looking to incorporate the most appropriate form of security into their developments, we can help. Pacific Security Technology can provide you with fast and effective installation services no matter what stage of development you’re in, or work with you and your engineers to secure development approval where security may be an issue. Get in touch with us today and see how Pacific Security Technology can help you. 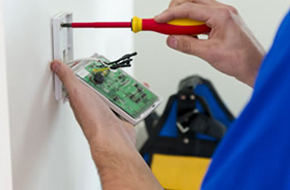 In the event that something terrible happens to your alarm or security systems, such as a power surge or overload through electrical storms, you might find yourself needing to replace the entire system. Pacific Security Technology can provide you with the documents you need to help your insurance providers to have systems repaired or replaced in a cost and time-effective manner. Can’t find what you’re looking for? No worries! Pacific Security Technology is available 24 hours a day, 7 days a week to assist with alarm and security system emergencies, and, if you need immediate attention, we highly recommend you call us on 1300 660 445. For general enquiries, we ask that you reach out to us via our contact form or by sending us a message on Facebook. For everything else, send an email to sales@pacificsecuritytehnology.com.au and we’ll do what we can to help you in your endeavours.